Despite the fact that our posts slowed towards the end of 2011, the year went out with a big bang. We saw more shows than we could review, and heard more music than we could comment on. Here are our top five shows of 2011. 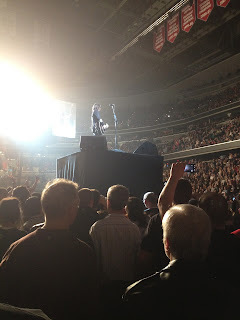 Dave Grohl and the Foo crew (including original Pat!) plowed through an unforgettable 2 hour-plus set of the classics, and standouts from Wasting Light, including an encore of Dear Rosemary featuring Bob Mould. 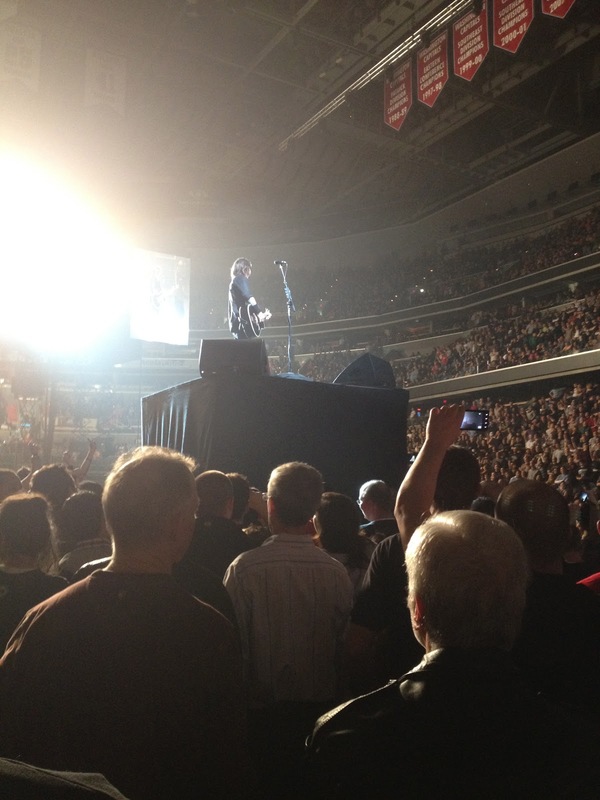 Grohl is a frontman to envy, commanding a stage with a catwalk clear to the other side of the arena with ease and energy. Words can't describe this show. DEJJ is hardly just another hipster band. Think more party and way less pretentious. Their set at Red Palace on 9/22 was well worth the $12 ticket price. We've spotlighted DEJJ before, their somewhat retro remix of R&B and rock becoming a fast favorite for 2011. Bon Iver and crew crooned their way through an epic setlist including selections from the new album and the best of the rest (Skinny Love, Re: Stacks). It was a memorable show, one that couldn't have happened anywhere but 9:30. To be in the presence of such awesome songwriters who hide hubris in the face of real talent, who recognize the importance of maintaining an audience, who give one hundred and twenty percent in performance (see broken bow strings of the cellist, singers running and jumping on the speakers, innumerous wails and shouts)... it's an experience worth reliving every time they come to town. Paul Simon at the 9:30 Club - enough said, right? He played for just over two hours, which was longer than the older crowd could patiently listen... Everything about this show was fantastic with the exception of said crowd. You Can, Can Count on a Second Chance... Best Albums, Etc. We all have regrets when it comes to music: guilty pleasures, concert faux pas, you name it. Our regrets are that we didn't give some of our all-time favorite artists a second chance when it came to their new releases this year, and that we missed a few standouts from the best-of lists. Here are a few things we missed, and a playlist of what was on repeat this year. 1. Radiohead's King of Limbs. This album was an initial letdown, a lame climax following years of waiting for a follow-up, taking esoteric to the extreme. But come on, it's Radiohead. 2. Wilco's The Whole Love. A second, then third listen, made us realize that this sounds more like the old Wilco we wholly love, than we originally thought. 4. Kurt Vile, in general. Our first listen left a bad taste in our mouths. But critics are obsessed, and he's playing Black Cat with Thurston Moore in Feburary. 5. Metacritic's Music Critic's Top Albums of 2011 [esp. PJ Harvey & Adele]. We're data nerds. And the fact that the top two albums of the year--according Metacritic's unique data--slipped our radar means we need to recalibrate. 6. Paul Simon, So Beautiful or So What. Didn't anyone else think it was... hokey?